Lead times are relatively quick - you might only be waiting for 2-3 weeks, and sometimes less. We'll give you an accurate lead time when we quote. Minimum order quantities are low - sometimes only 100 boxes. 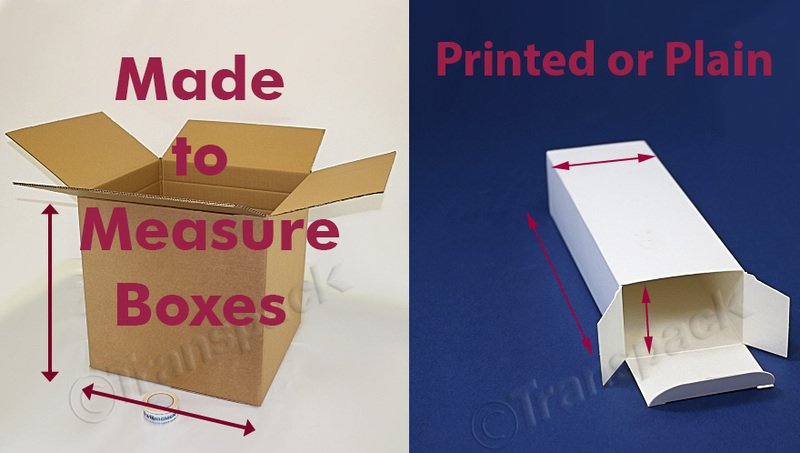 Some styles of box will require a cutting tool to be made which will add to the cost but we'll make this clear. The standard 0201 style double and single wall cartons don't require a tool and will be a cost effective solution. If you need a custom printed box, you will have to pay for a printing plate to be made (as a guide £200- £300). This is a one off cost as it is kept and used for any future orders you place, as long as its the same design. Contact us on 02380 869999 or fill in our contact form and we will get back to you as soon as we can.